Toronto was voted a “Gold” city for cycling-friendliness yesterday. Weston lags behind—sad, given that CCM built bikes here for decades, and especially sad since we have enormous potential. The problem is simple, even if the solution isn’t: our most bikeable routes lead to nowhere. The very things that make Weston and Mount Dennis so attractive to polluting commuters (our GO Train and proximity to arterial roads and highways) prevent us from attracting cyclists. This is significant. We are surrounded by lovely areas of town that we can’t get to. York University and Humber College are important campuses and employers that should be only a short bike ride away. There are dozens of great restaurants on Albion Road. Feeling a bit more swish, a bit hipper? The Junction is very close. Just past it are two bike superhighways to downtown, the railpath and Davenport. But you can’t get there from here. To bike on Albion is to hasten immortality. On Wilson someone leaned out of the passenger side of his car to try to kill me. It’s not just the main roads. For reasons lost to memory, the subdivisions in and around Weston have roads that run predominantly east-west. Few residential roads run north-south for long distances. T he river gets in the way, as do a golf course, Black Creek Drive and the railway. Weston riders are, in effect, blocked in. It’s not impossible to escape, but it is tricky. Getting to the southeastern bike highways and downtown is easiest. There are dekes and moves to get there. Any other direction is tricky, but we are sitting at the intersection of much opportunity. The most valuable piece of bike infrastructure is on Wendell Ave. The bridge creates a rare passage under the highway. It is the only one west of Keele (and that crossing at Keele is deadly). The tunnel at Wendell is like a fish ladder that lets cyclists bypass the tricky—and deadly—narrows over the 401. Yet very few cyclists use it. This is a lost opportunity. Just north of us, there are straight roads and river paths all the way to Finch, where one of the city’s great bike paths begins. The Humber River bike path ends in Weston, giving a beautiful, if long, ride down to the west end of town. All that remains is to join the two paths in Weston. But instead of a hub or a link, we get a six-lane, bare-knuckle battle royal on Wilson. It is potholed, busy, fast, and under construction. Not having a bike path is crazy, even unconscionable. Albion Road, with the restaurants, is missing one, simple link. The Humber bike path forks just north of town, but it takes a meandering route. The left fork runs to Humber College; the right fork runs to the middle of nowhere. But getting to the left fork is nearly impossible; to do so, you have to ride along Albion (and therefore die) or take a very long detour. A bike path on Wilson is just a matter of paint and political will (which, in Giorgio Mammoliti’s riding, is in short supply). Making the left fork of the Humber River Trail accessible is even easier. The sidewalk there is quite wide, and it looks like putting a path in wouldn’t disrupt traffic. The tunnel under the highway could easily be made brighter and safer with improved lights, and it is wide enough to have a marked path. Some of the solutions are trickier. A bike path along the railway, like they have in the west end, would be perfect: a straight, fast, safe road down to the bike highways and The Junction. Failing that, something, anything, could be done on Weston Road. It’s not like pedestrians want to use it with all the traffic. 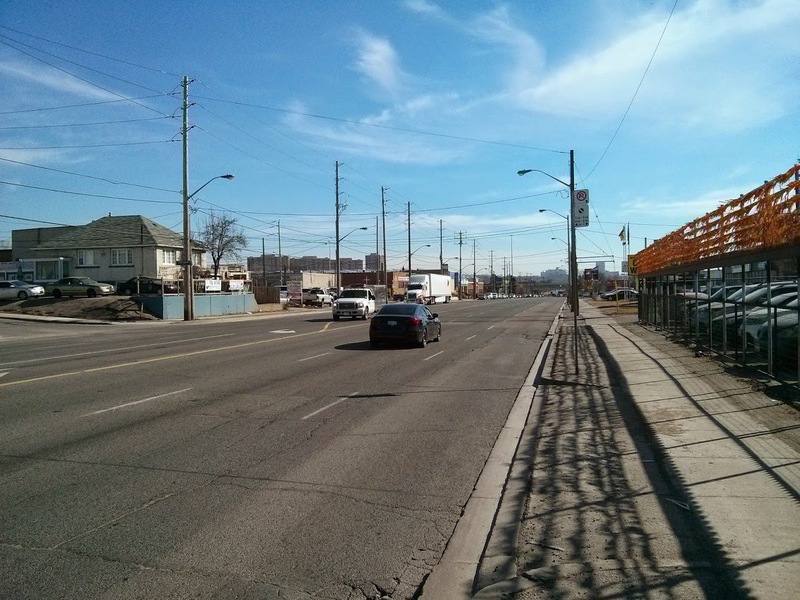 The Eglinton bike path is an orphan. We could join up with it. Everyone would win. Someone, somehow, needs to join the two ends of the Humber River Recreational Trail. This string of gems is broken in Weston. 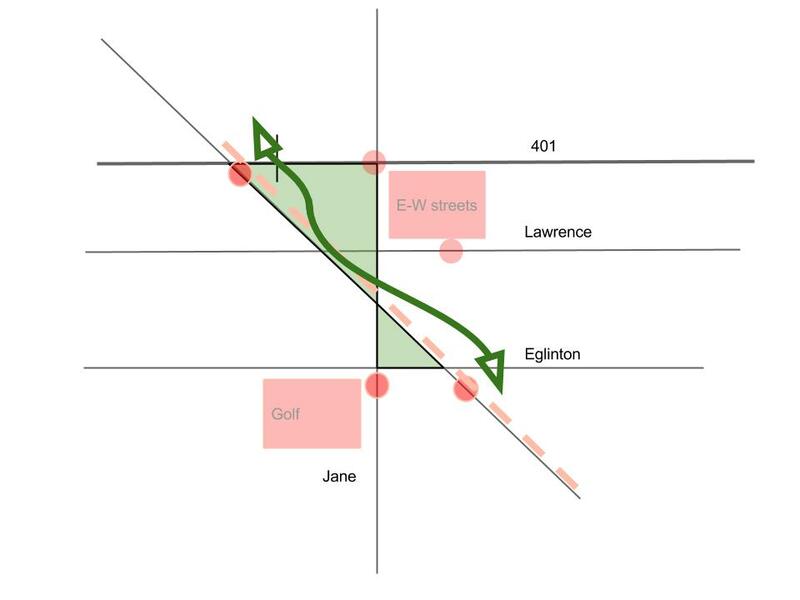 And, in a perfect world, we could put a bike path along the unusable, undrivable, unridable western section of St Clair between Jane and Old Weston. Under Rob Ford, these things would never have happened. Even under Tory, they probably won’t. But, especially on a long, quiet, long-weekend ride, a guy can dream. I moved to this area last June and, during the warmer months, I bike to my job downtown using Weston, Rogers and Old Weston to get to Davenport. As you state, the problem with the current biking infrastructure in this city is that lots of bike lanes are not connected, except for the downtown core. 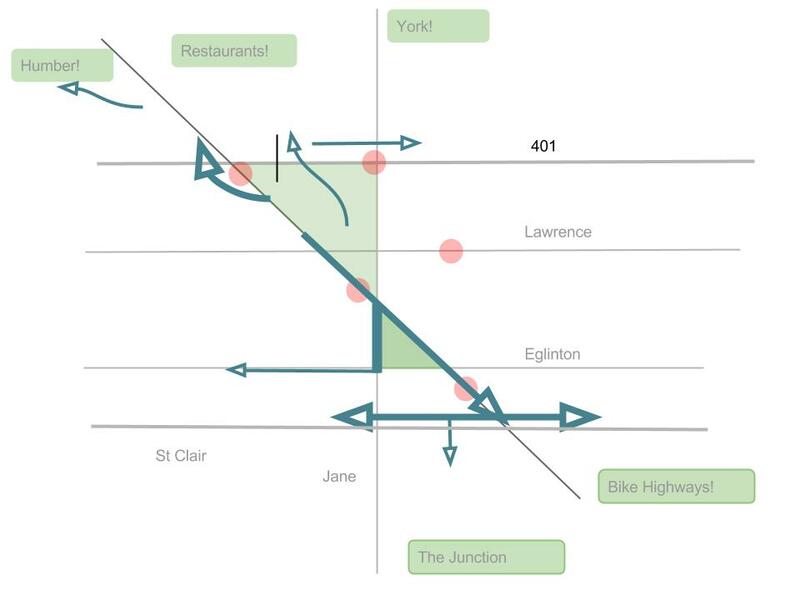 It’s time for the city to mimic what the province does for its 400 series highways — build them only where they connect so that expansion and growth can occur in a smarter way. However, I fear there will be a firestorm from anti-bike/pro-vehicle residents in the suburbs over bike lanes outside the downtown core. Next Next post: Media Manipulation?